The Word says, “Christ Himself is the Creator who made everything in heaven and earth, the things we can see and the things we can’t…all were made by Christ for His own use and glory. 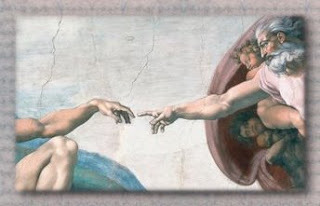 He was before all else began and it is His power that holds everything together.” (Col. 1:16-17 TLB) Including man’s body. I have no excuse not to believe. Do you? If you’ve never seen the Louis Giglio video on laminin, it is awesome. Click here. I love the picture and the lead up. I also always enjoy this minister’s videos. He did one on the blessings of fathers that was incredible, and very timely needed in our family. Wow! Are you every quick? I barely got this up and there you were! Thank you so much, Lindy. I deeply appreciate your comment. I’ll have to look up the other videos. Thanks! Thanks for sharing such a wonderful tribute to our Savior and a testament to creation that so many want to neglect–mankind. It’s nice to know people still believe God created and that we didn’t evolve. You are a masterpiece, a new creation fashion and molded in the likeness of God. Praise God! Beautiful and inspirational post. wow, thanks for making my day! 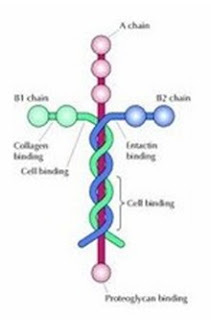 Wow, I hadn’t seen the image of the laminin OR watched that video. I love seeing how God is in ALL and holds us together. Thank you, Lynn, for another great post. I have seen the video before, but it just gives me goosebumps to know that God has planned everything so perfectly and there is no doubt that He is our Creator. Certainly thought provoking. As God knew all, knows all, created all, he must have forseen the Cross and what Jesus Christ would be sent to do for our salvation. This is a sign of that knowledge, built into mans very creation. I love this video. I’ve seen it before, and I always enjoy it when I see it. What a beautiful reminder of how we are fearfully and wonderfully made! I left a little something for you on the Glass House Ministries blog, under the “We Have a Winner” post. ← The Fruitful Soil ← Birthdays!